Type 2 diabetes treatment is a billion dollar a year business. 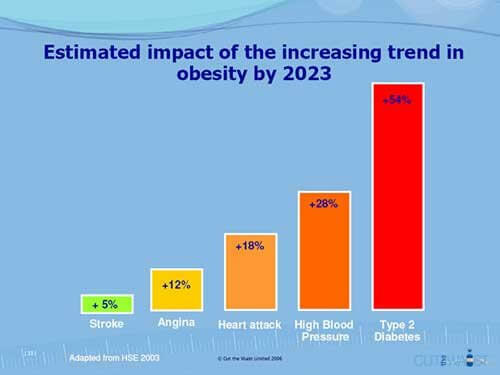 The incidents of type 2 diabetes in the U.S. alone are staggering and this epidemic is becoming a worldwide phenomenon. The cost and health implications are staggering. In just the past generation the incidents of diabetes went from being something you rarely heard of, to becoming a household word. It’s difficult to find anyone in America who doesn’t know someone with this disease. Our goal in this article is to make sure you know the facts about type 2 diabetes treatment options. We will explore prescription medicines, natural treatments, and diet to help you make the best decision possible for your health. We will also share an amazing story of someone just like you that reversed their diabetes with food. It’s inspiring and we include it at the end of this article to show you that you don’t have to take medications for the rest of your life! Diabetes is a disease that the medical community has begun referring to as an epidemic. When you look at the latest data from the American Diabetes Association it is easy to see why. If those numbers seem shocking to you I am not surprised. When you consider that nearly every single person diagnosed with prediabetes right now will eventually have full blown type 2 diabetes, it’s mind boggling. The standard of care for type 2 diabetes treatment is to administer a combination of pills and insulin. Most patients who are prediabetic will start out on a pill like Metformin. Eventually most of them will require insulin injections that increase over time. Any family doctor or endocrinologist will tell you that type 2 diabetes is a progressive disease and there is no way to reverse it. They all treat diabetes mellitus (type 2 diabetes) as a chronic disease that requires medication for the rest of your life. If you are curious about current type 2 diabetes treatment guidelines and the types of drugs doctors use to treat type 2 diabetes, here is a comprehensive list. These are basic categories of medicine used to treat type 2 diabetes and there may be as many as 20 different drug names for each type. As an example, there are at least 13 different types of insulin that can be prescribed. In addition to the drugs on that list you could also be given any of the following. This treatment for type 2 diabetes is ubiquitous no matter what doctor you see. From your family physician to your endocrinologist, they will all tell you the same thing. Exercise, cut food portions, and take these drugs. Under this standard of care the type 2 diabetes prognosis is grim for most most patients. Very few patients bother to do any research on their condition so they can work with their doctor to get the best outcome. Even worse, most people don’t ask their doctor any questions. They leave their health in the hands of someone else. I think medicine works best when you get involved with your health. Everyone should do their own research, ask their doctor questions, take notes during the visit, and research everything that is said afterwards. If most people did this they would see that standard type 2 diabetes treatment isn’t perfect. They might even find it does more harm than good. Keeping a normal blood sugar is not the same thing as treating diabetes. Just because you take a drug that lowers your blood sugar level does not mean you have done anything to help you improve or reverse the actual disease. All you have done is artificially managed one of it’s symptoms. The standard treatment for diabetes does nothing to reverse the disease and patients continue to get worse. This adds up to annual health care costs of over $245 billion and associated cost of missed work and productivity of $70 billion every year. These are just a few of the reasons that thousands of Americans are looking for type 2 diabetes treatment without medication. Not only are the drugs very expensive, they don’t cure the disease and they could have dangerous side effects. If you think the drugs that are prescribed for the treatment of diabetes are safe, think again. Here is a fact from Doctor McDougall that should serve as a warning to anyone taking the safety of type 2 diabetes treatment drugs lightly. This seems like a simple question to me, yet no one is answering it. Why do we keep treating diabetes patients with something that doesn’t work, has horrible side effects, and costs us billions of dollars every year? The best thing a person with type 2 diabetes can do is reduce their intake of processed carbohydrates. These are the carbs that come from things like sugar and other additives in prepackaged food. These processed carbs don’t have any fiber or water attached to them. When they enter the body there is nothing to slow down the release of sugar into the bloodstream. This means your body tries to rush insulin out to control it. The process of doing this over and over throughout the years takes a toll on the body and cells build up an insulin resistance. This means your body sends out even more insulin and things get worse. By eating less processed carbohydrates you aren’t requiring that your body to try and control a sudden influx of sugar to the blood. This means less insulin response and naturally lower blood sugar levels. The best way to do this is just stop eating processed carbs but there are a few products out there designed to block carbs from being digested in the first place. They are designed to prevent the carb load on you body by whisking the carbs out before digestion occurs. Dietrine carb blocker is one such product that some patients with type 2 diabetes try. It’s is designed to block carbs before they are digested and could help with treatment for type 2 diabetes. I want to be clear that I think your family physician and endocrinologist mean well when treating patients with type 2 diabetes. Unfortunately they are only trained in how to treat diseases with drugs rather than food. When you consider that type 2 diabetes is only found in countries that eat a diet high in saturated fat and animal products you’d think that would be a big clue to the medical practitioners. Sadly it isn’t. That being said, Always consult with a licensed health care professional. If you look at this list of the countries with the lowest rates of type 2 diabetes you quickly see they share something in common. These are underdeveloped or developing countries without the ‘luxury’ of processed food. The people in these countries eat real whole foods in their natural form and they hardly have any incidents of type 2 diabetes. For most of them it’s 2% or less compared with nearly 30% in the United States. Our diet of ease and convenience is killing us. Eating things from boxes and bags rather than the produce bin is causing a host of diseases including type 2 diabetes. By simply changing what we eat we can prevent, and even reverse, this disease. 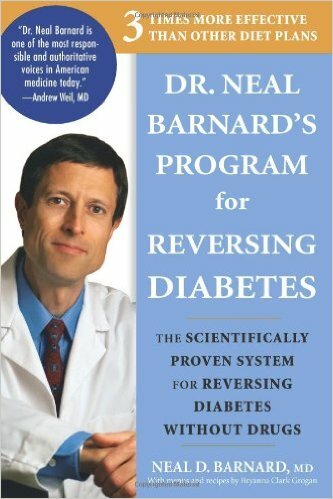 Dr. Neal Barnard has made it his life’s work teaching people how they can reverse diabetes by changing their diet. This means no insulin, no Metformin, and no prescriptions, for the rest of your life. We lay out his basic plan below but you should really get his book. In Dr. Neal Barnard’s Program for Reversing Diabetes, he lays out a detailed plan for using the power of food to treat your type 2 diabetes. It’s not complicated either. There are basically just three simple steps. According to Dr. Barnard, if you follow these basic steps you will see your diabetes get better and better over time until you have completely reversed it. If you are wondering what some of those low glycemic foods are, here’s a short list. There are actually a ton of delicious low glycemic foods you can eat and he provides a lot more detail in his book, as well as a simple plan to get started. You will want the easy advice and the delicious recipes to insure you are successful. If you don’t think that doing something as simple as changing what you eat can reverse type 2 diabetes, think again! 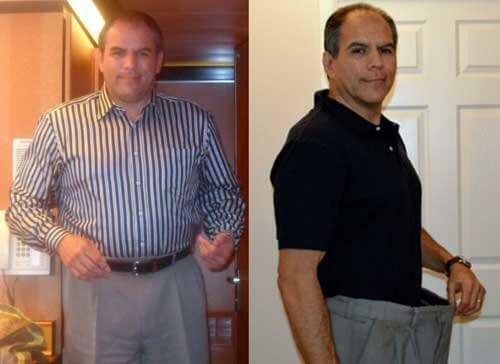 Meet Marc Ramirez who we found at Forks Over Knives. He is a great example of the healing power of food. Marc shares his story of taking five different oral medications including Metformin and Januvia for diabetes, Simvastatin for high cholesterol, and Lisinopril for high blood pressure. His hemoglobin A1C level was 8.8. Not long after that his hemoglobin A1C level rose to 10.5, and that’s when his doctor prescribed insulin injections. When his doctor told him he would never be able to stop taking insulin injections he decided to do something about it. Good for you Marc! His plan was simple, just like the one detailed in Dr. Neal Barnard’s Program for Reversing Diabetes. He decided to take that advice and eat no animal products, eat low-fat foods, and avoid high-glycemic foods. In less than two months, he was off of all medications, and has been medication-free for over three years. He is proudly no longer a diabetic. He also went from weighing 254 pounds to 207 pounds, which is what he weighed in the 7th grade. You could change your health outlook too by choosing a Type 2 Diabetes Treatment With Food. 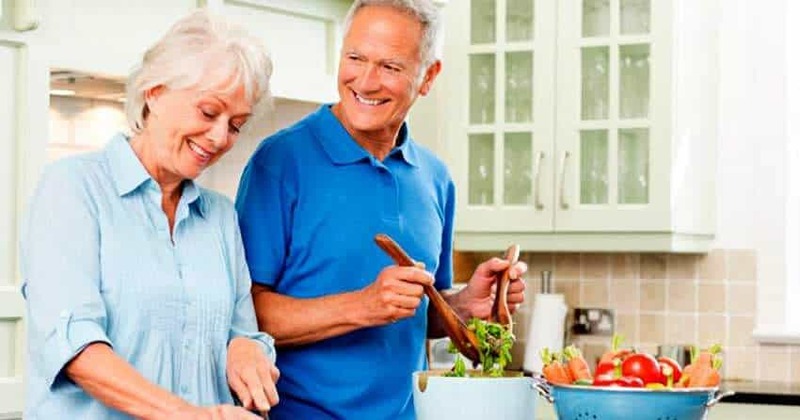 There are several resources online that will get your started on the right diet plan but honestly, none of them are better than Dr. Neal Barnard’s Program for Reversing Diabetes, we highly recommend it.